Or, maybe not, ’cause then I wouldn’t be here, either. 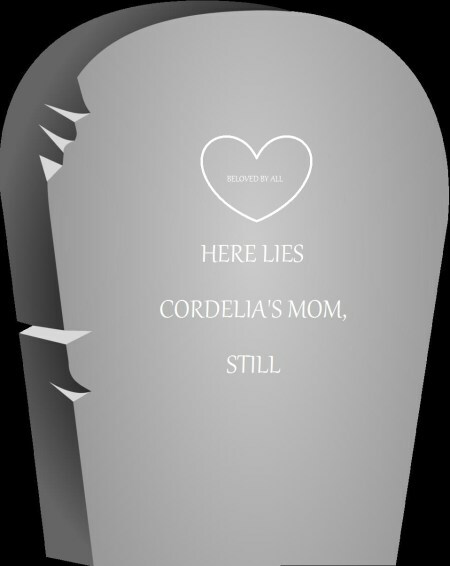 This entry was posted in Blast that B*tch, That's Life (Or Not) and tagged April Fool's, Cordelia's Mom, death, gravestone, tombstone. Bookmark the permalink.